Cape Town - Earlier in November 2016, parts of Johannesburg and Pretoria were hit by a fierce storms with many vehicles damaged due to severe flash floods. News24 reported that several roads were flooded and flights were delayed at OR Tambo International Airport. A boundary wall at the Johannesburg Zoo had also collapsed when the floods first struck. No people or animals were harmed. 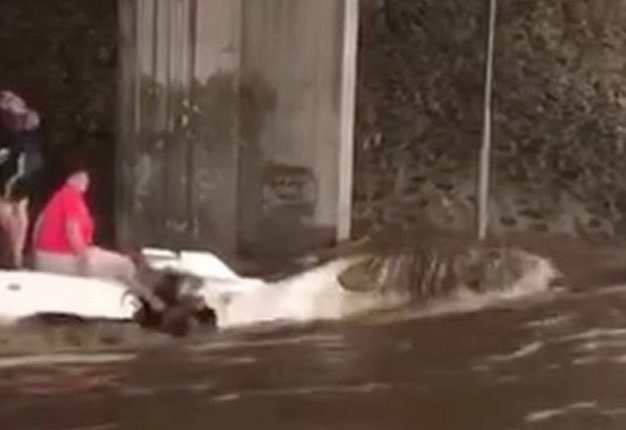 Hundreds of motorists were left stranded, however one video that speaks to all petrolheads is the sombre footage of a Toyota Supra submerged under a flooded bridge. The sad sight was filmed as the owners lept to the relative safety of another vehicle's roof.